You’re doing it all wrong they say, that’s what the majority of social experts will tell you when it comes to your profile on LinkedIn. They’ll tell you that most of the members are not properly optimizing their profiles on this important business network. LinkedIn, when it comes to individual professional profiling, is the premier dedicated social platform to do so, this for business professionals as well as working representatives of all degrees and scales. It’s estimated that there are close to 80% percent of those employed, regardless of rank, your direct peers, from all backgrounds and industries, who are on LinkedIn. But according to the experts, the majority of LinkedIn members are not taking full advantage of LinkedIn’s resources. They’re not showcasing the full extent of their services or talents to others. The following are the most common mistakes. If you leave your profile bare, that doesn’t exactly do you or the company you represent justice. It’s vital that you include all of the important detailed descriptions of your company, as well as the achievements that you’ve personally and professionally reached, much like you would a resume. Also make sure that you optimize your full name, your job title, experience, and exact location for “searchability” purposes. This especially if you have a common name such as “Joe Smith” and you live in New York. So make sure that you create an unique profile which is keyword optimized which identifies who you are. This will help others to easily find you or locate your company. It becomes blatantly obvious to others that you’re on a major job hunt, this because your once barely existent profile on LinkedIn is now completely revived, overhauled, and pimped up. The recommended method which will serve you best is keeping your profile along with your connections updated and current at all times, rather than suddenly and desperately reaching out when you need something. If you happen to post an informative blog post, or the company which you represent offers a timely “white paper,” then make sure that your share it on your LinkedIn feed. Also make sure that you share content on your feed which you get from other sources which you find interesting or informative. Stay relevant by making sure that you make posts in your groups by sharing articles or links, especially if you think it would be helpful to others. This will portray you as an active leader, and if the content happens to be from your personal blog or company site, you’ll then also get focused traffic from LinkedIn back to that site as well. There are a myriad of groups based on any subject or topic, industry specific or not which you can join, offering you a variety of niches which you can investigate. If you don’t bother joining any groups, then at the very least, make sure that you join your alumni groups, such as, your high school, prep school, college, university, sorority, etc. Also make sure that you join most of the direct Industry groups and segments which your company is in, or you’re personally interested in. Know where your major customers are hanging out, and then go introduce yourself to them. It’s not a good idea to get instantly frantic when you need something from someone, it’s too obvious and blatant. You should always be systematically adding as well as accepting connections from others that you know, both professionally as well as personally. It’s not usually recommended that you make connections with people who are complete strangers, as there’s that other social network for that. 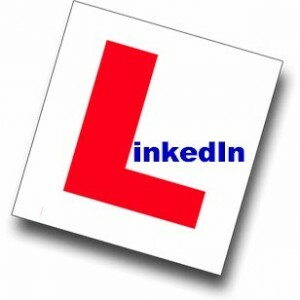 What you want to establish on LinkedIn is a tight professional network. So if someone you don’t know randomly says that they know your former work acquaintance, Susan Jones, then politely tell them that you’re no longer associated with that person any longer. The objective of your profile isn’t to pump up your connection totals. It’s inappropriate to ask the CEO of the company that you work for to be “friends” on Facebook, but on LinkedIn, since it’s a professional and business network, which focuses solely on professional connections, getting connections throughout the entire company that your employed at, anyone from top executives down to the lower ranks, is recommended. What this does is it creates a cohesive unit which your able to tap into if you happen to be making an important presentation about your company to prospective clients. You can provide your LinkedIn profile allowing viewers to see your direct connection with the President of your company to cement your validity. LinkedIn Answers is one of the most underutilized sections which is proving to be extremely valuable, especially when it comes to displaying your expertise, or credentials, as well as providing valuable information. For those who are asking questions specific to your industry, and if you know anything regarding the query, you can then reply in this forum. This also includes links pointing back to your site, or any other content which backs up your reply. One of the best features of using LinkedIn Answers is its staying power. On other social media sites, such as Twitter, for instance, where the information gets quickly washed out, LinkedIn Answers will keep its spot over time, so the questions, and then your answer, will remain and can be reviewed months or even years later.